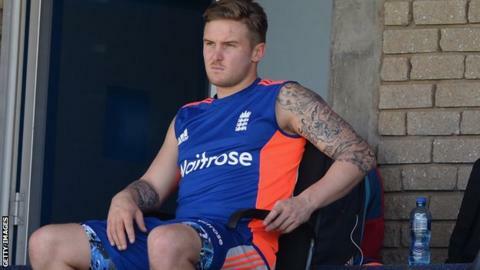 England will assess an injury to Jason Roy before naming their team for the first game of the five-match one-day series with South Africa on Wednesday. Surrey's Durban-born opener, 25, who averages 33 from his 15 ODIs, suffered a back spasm on Monday. Should he not prove his fitness on Tuesday, James Taylor or Moeen Ali are the likely candidates to open. South Africa, who are without Dale Steyn, Kyle Abbott and Albie Morkel, have called up seamer David Wiese. The 30-year-old took 2-73 from 10 overs for South Africa A on Saturday, when Taylor made 116 from as many balls to inspire an England XI to a 163-run win. Wiese made his ODI debut last August and has played three matches, taking five wickets at a cost of 28.80 each, and has also made 12 Twenty20 appearances, claiming 20 wickets.